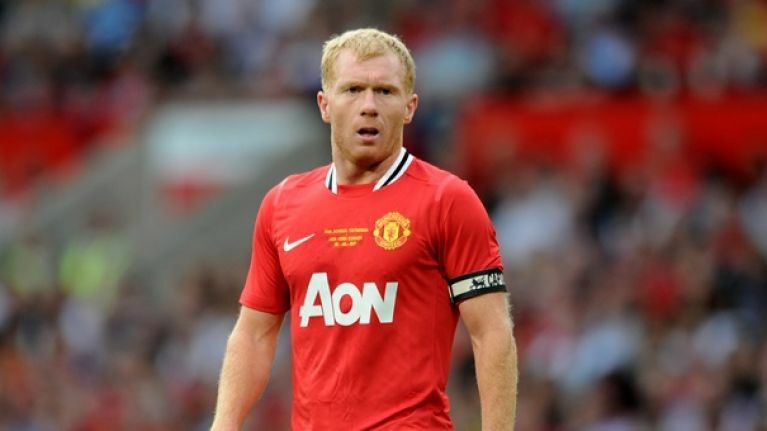 Former Manchester United midfielder Paul Scholes has said that he should have retired from professional football after Manchester City won their maiden title in 2012. After 18 years in the United first team, Scholes retired in May 2011 to help coach the club's reserve side with longtime United coach Warren Joyce. The former England midfielder trained with the side alongside current United stars Jesse Lingard and Paul Pogba and after building his fitness during the sessions he considered a comeback to the first-team squad amid a midfield injury crisis at Old Trafford. "I went to Joycey and I said 'I'm thinking of coming back'," Scholes said on BT Sport. "I think I spoke to Gary Neville and Phil Neville to see what they thought about it and Gary encouraged me to go see Mike Phelan, the assistant manager in his office. "If Pheely had said no I would have gone on to play for somebody else. At that point I was coming back, whether it was for another team, I didn't want to play for another team, I wanted to play for United, and I went to see Mick and Mick thought it was a great idea." Scholes made his United return as a substitute during a 3–2 win against rivals Manchester City in the FA Cup. The Salford native went on to make 17 appearances that season as United were ultimately to the Premier League title on the final day of the season by rivals and neighbours Manchester City. Upon reflection, Scholes said that he should have called time on his illustrious career then as an early season fixture with Tottenham the following campaign suddenly made him feel very old and no longer able to compete physically at the very top level. "I really wish I had stopped then," Scholes added. "That was enough really because we got to the next season and the manager gave me another year but when I say I was gone the first time, I was definitely gone this time. "I remember playing a game against Tottenham at home, it was only the third or fourth game of the season, and I think we got beat at home 3-2. "I played alright in possession but I remember [Moussa] Dembele just cruising past me, Gareth Bale.... I know they cruise past people but I was just watching and thinking 'I can't do this anymore'. "Just go through the season. I wanted to retire early again that season but I just thought it would look a bit stupid, a bit embarrassing."